As much as I love the classic TRPGs, they weren’t perfect (and could be very grindy). Where do you see the potential to improve? And what lessons have you drawn from more recent games, such as Firaxis’ reboot of XCOM and the newer Fire Emblems? Grinding is the worst. We’re taking a fresh approach to many of the gameplay systems, and similarly to XCOM you get skill points based on missions rather than individual actions performed. I’ve always loved multiple paths of improvement, so we’re looking into how to allow players to improve stats and skills outside just battles, such as recon missions in pubs and quests, and we even hope to have some private action-esque conversations in different cities with your troops so you can gain relationship based skills. What details can you give about character skills, classes, and levelling? 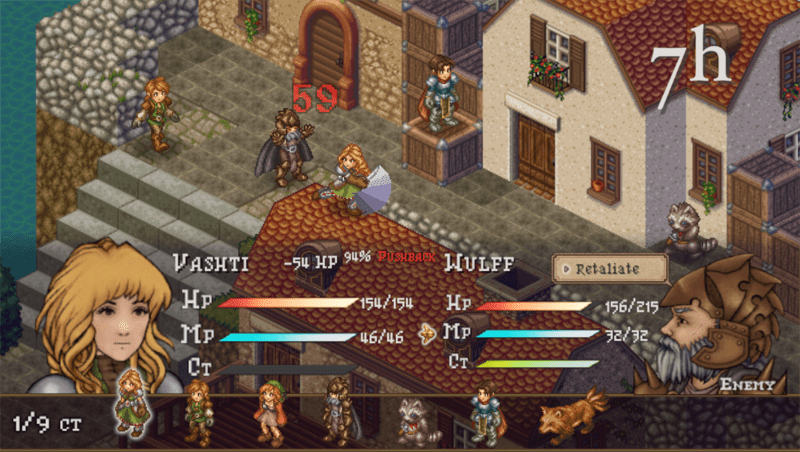 We want to be more intentional with skills, so no throwaway Charge+1 ~ 10 skills like you had in Final Fantasy Tactics. Each base class is an investment with branching specializations. So the Ranger can master the agile but less powerful bow, or the sluggish but strong crossbow, and each having branching skills that play to that style so you can customize your characters even within classes. Those classes then branch into two advanced classes like Beastmaster or Fencer (names aren’t final, of course) with specialized weapons and abilities that are pretty incredible. And leveling will be experience based, with one skill point obtained per level. You gain experience per battle rather than per action at this stage, though balancing may alter some of these things of course. What is your attitude towards difficulty and perma-death? I think difficulty is healthy, when done correctly. I’ve written on the topic before, but my philosophy of challenge in games is rooted in player progression rather than arbitrary difficulty levels. When possible, I prefer multiple paths of improvement with one set difficulty level, rather than several levels of difficulty a player chooses at will. Perms-Death is an interesting tie-in there. We’re very cautious about balancing that, because when done improperly it can feel cheap. The intention of Perma-death is, I believe, to elicit some sort of attachment to characters. It instills fear. Fear that you’ll lose progress forever on a character you poured time into. I think perma-death has it’s place, especially in a game about the very real consequences of war, and I want it to fit into Arcadian Atlas somewhere, but that’s a delicate balance, and we’re still working through how it should operate. How will Arcadian Atlas tell its story (e.g. traditional linear plot, branching plot a la Tactics Ogre)? That depends largely on funding, actually. 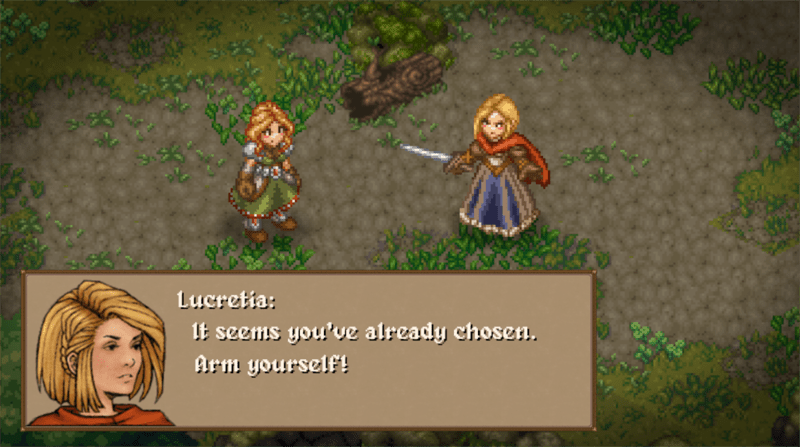 Our dream is to have branching paths with a few different endings ala Chrono Trigger, but we also have a linear plot outlined for the entire game that we’re happy with as the core experience right now if we just meet base funding. Depending on how the Kickstarter goes, we can explore branching paths more freely, and that’s included in some of the stretch goals we have planned. 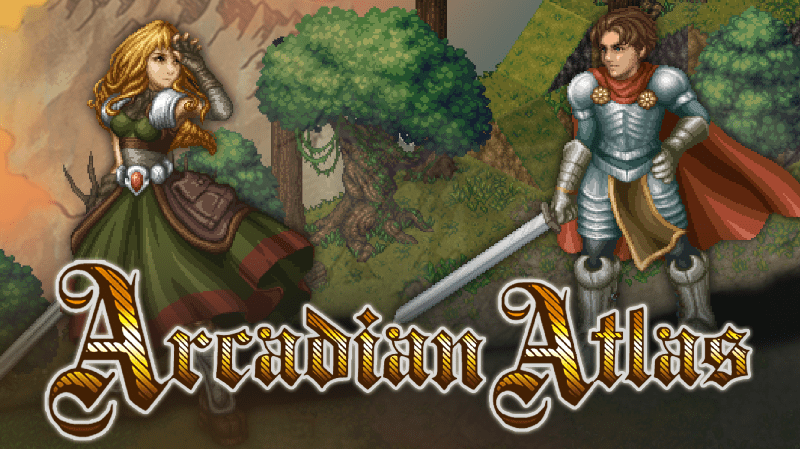 Arcadian Atlas is planned for release on PC, Mac, and iOS. How do you see the iOS market relative to the PC, and do you have any plans for an eventual console release? iOS is an early stretch goal, and the iOS market is interesting, especially because pricing an iOS app is very different. The most difficult thing about being an indie is there isn’t a lot of data out there specific to small projects like this. You have AAA games like Final Fantasy Tactics charging $20 on the App Store, but fewer Indie titles, at least ones that are quite as expansive as Arcadian Atlas will be. Our dream would be to get it on Vita/PS4 for sure. It would essentially mean remaking the entire thing though, so we’re still hesitant to promise that until we get some firmer pricing estimates. We’re really fighting for it though! Only that I’ve been amazed by the kindness of the gaming community. There’s a level of camaraderie and support here that has blown us both away, and we’re really excited about sharing some big reveals for the Kickstarter on April 5th with everyone who has been beside us for his crazy ride. All screenshots were supplied by Twin Otter Studios.